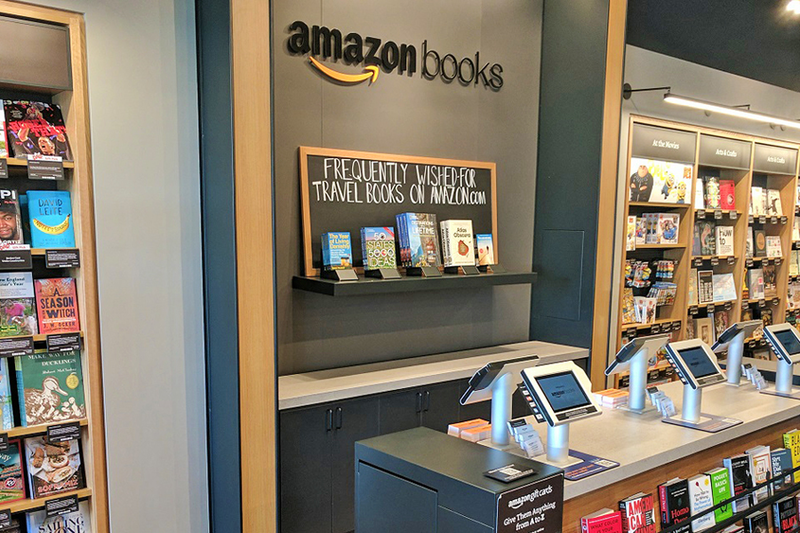 A physical extension of Amazon.com, Amazon Books integrates the benefits of offline and online shopping to help you discover products you’ll love. Designed for you to find your next great read, the store selects books based on Amazon.com customer ratings, pre-orders, sales, popularity on Goodreads, and its curators’ assessments. Stop by to explore the aisles, and test drive Amazon devices including Amazon Echo, Kindle e-readers, Fire tablets, and Fire TV.